With George Clooney winning the Best Actor Golden Globe and the film winning the Best Motion Picture – Drama award, Fox has now released a clip and a featurette for your enjoyment. We have already seen some of the film from a previously released clip and trailer. 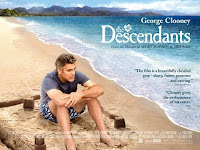 The Descendants hits cinemas nationwide on 27th January 2012.